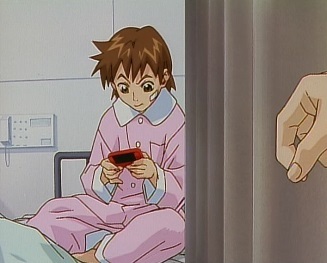 In hospital, Sakura seems to have recovered quickly, and is playing a fighting game. 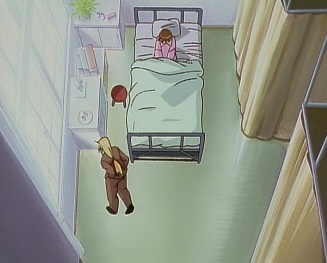 She tries to hide her console when Ken walks in to visit, but he finds it. 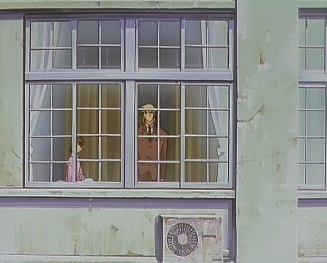 She tells him she has to do something, as she's bored. She then asks about Ryu. 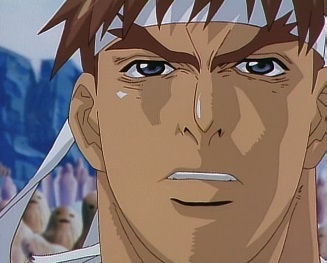 Ken says that Ryu isn't doing that well, as he won't eat or drink anything, and it has been days now. He's like the living dead. 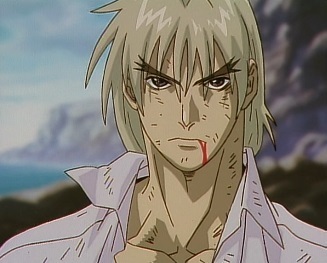 Ken warns that Sakura can fall for Ryu if she wants, but she shouldn't get involved with the martial arts unless she is willing to go all the way. The pain he's going through right now is a wall all fighters slam into. 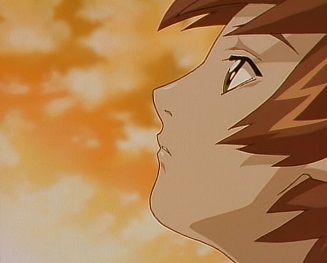 Thinking about nothing other than fighting and becoming stronger will lead into darkness. 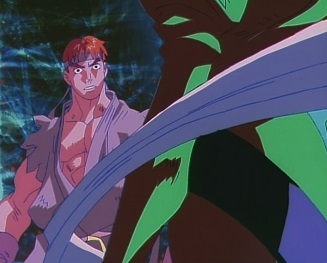 Ryu is thinking about Akuma, as Rose appears. She says that she can see that his heart has lost it's way. 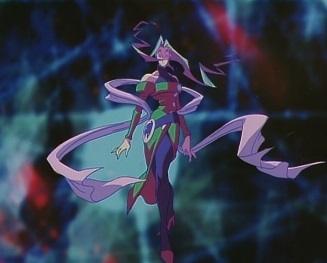 She says that Shun is wavering, as Ryu is. 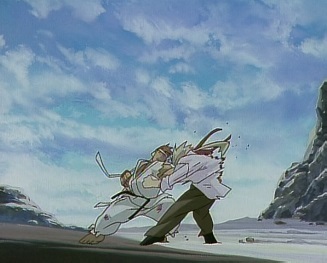 But, unlike Ryu, Shun does not know how to stop it. He is just waiting to be crushed by the darkness. 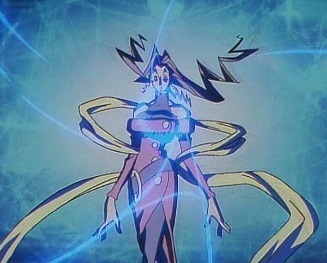 She asks who may be able to lift the darkness from Shun. 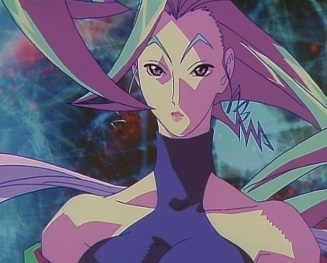 She tells Ryu to think, as the power of the dark hadou is his to take. He must choose between the darkness or the light. 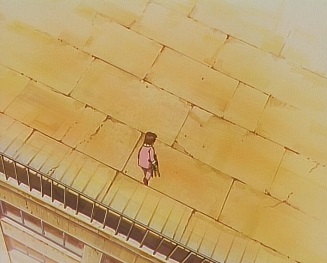 But then the boy's soul is no concern of his. 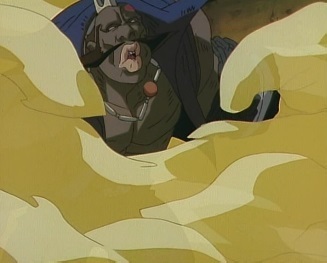 Ryu gets angry, and throws a fireball at Rose, but she vanishes. 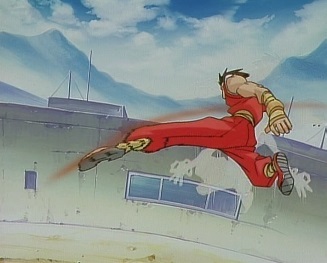 The fireball goes straight through a window, so Chun-Li comes running in. 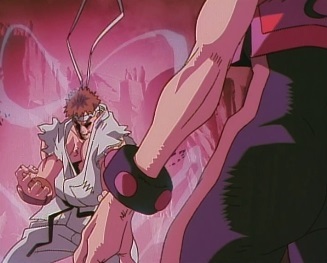 Ryu says it is useless, as if he goes on fighting, he'll just be consumed by the dark hadou. 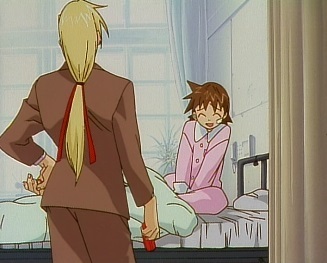 But if that's what it takes...he tells Chun-Li that if he is going to rescue Shun, there is someone he needs to see first. 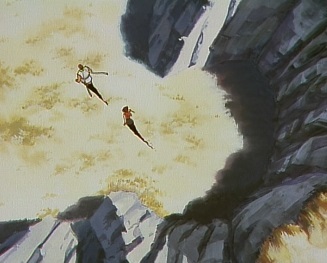 Ryu and Chun-Li travel to an island. 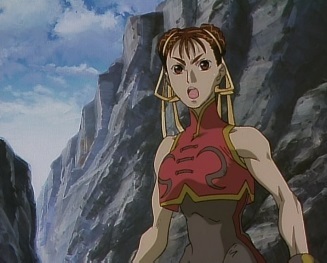 Chun-Li is surprised that anyone would live here, but the two walk further on. They enter a field with many small, wooden objects shaped like people. 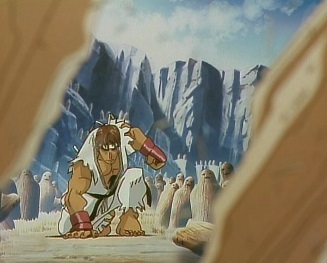 Ryu says he can sense Akuma, and that he is here. 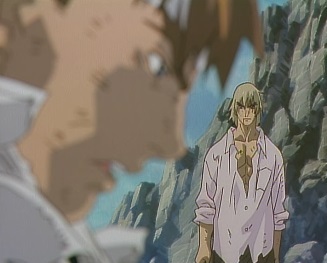 He can sense the dark hadou. Some of the wooden objects shatter, as a voice says that a true warrior enters the arena with all his powers at the ready. 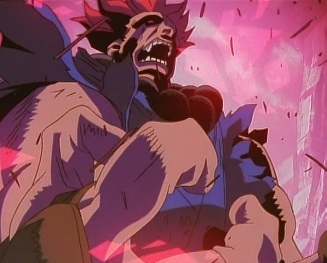 The voice is Akuma's, but he does not show himself. 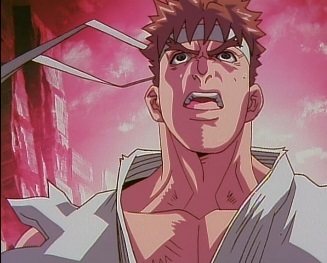 When he realises Ryu is here, he asks if Gouken's student is going down the same path as himself. 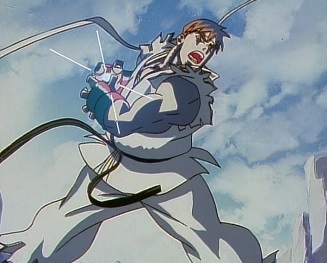 Ryu says he never will, and starts breaking apart the statues in an attempt to make Akuma show himself. For a few seconds, there is silence. 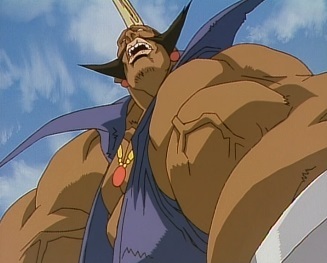 But then Akuma speaks again, repeating the same statement he made earlier: a true warrior enters the arena with all his powers at the ready. 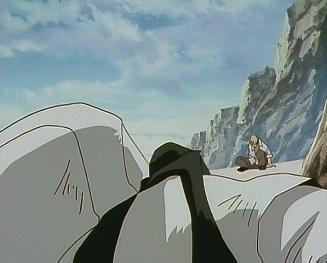 Ryu finds himself succumbing to the dark hadou once more. 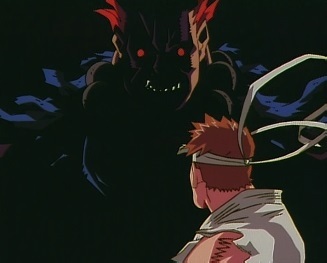 Akuma tells Ryu that if he has come to fight him, then he must awaken the power within himself. 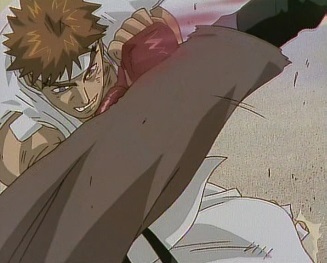 Ryu manages to resist, saying he won't do it, as he isn't like Akuma. 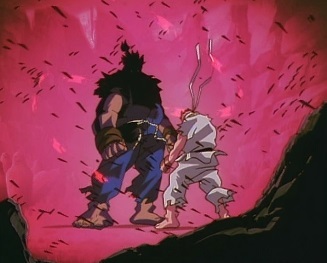 Akuma tells Ryu to leave, and then finally appears. 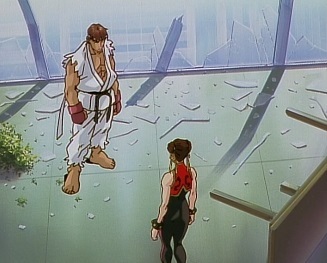 He simply stands before Ryu. He then starts to walk away from him. Ryu tells him to answer this question: does he have a son? 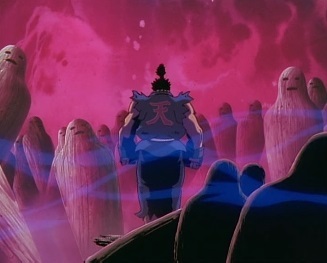 Akuma says that where he walks, he walks alone and where he fights, he fights alone. 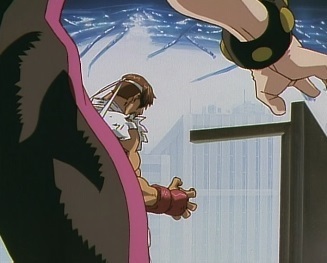 As Ryu watches Akuma leave, he tells Chun-Li that that was Akuma, the man who mastered their fighting style. 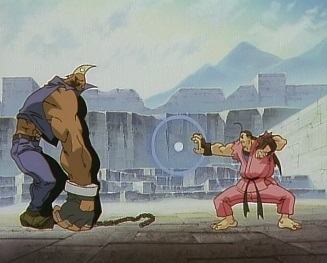 Later on Chun-Li asks Ryu if he could become like Akuma, and become a creature who only fights. Ryu says he doesn't know. 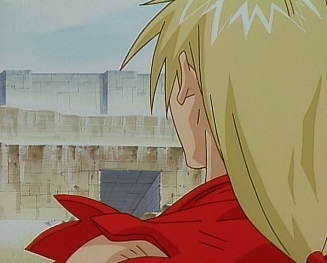 But he has to fight -fighting, and becoming strong, and the only things that have kept him going. 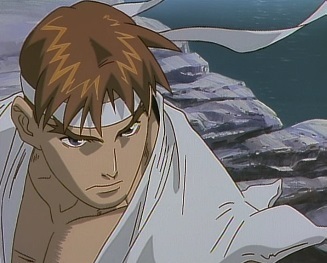 Ken then appears, saying he knew Ryu would come here. 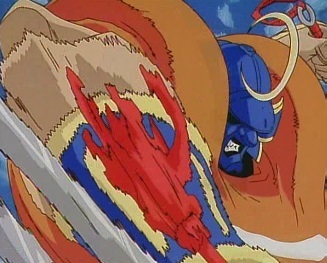 He says Ryu can't seriously think he can beat the dark hadou -even Akuma was completely swallowed up by it. 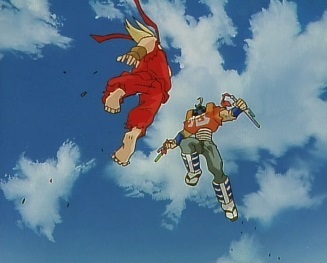 Saying no more, Ryu and Ken start to fight each other. 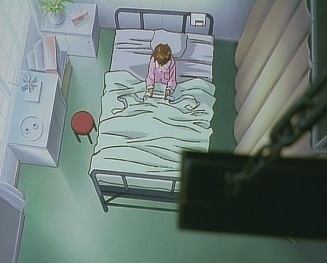 As their battle continues, Sakura, still in her hospital bed, thinks about Ryu, and why he fights. 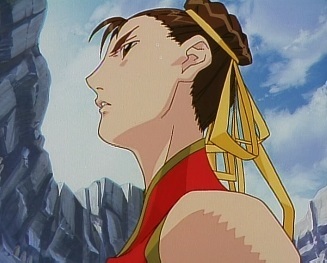 Chun-Li also asks why Ryu is trying to become strong. 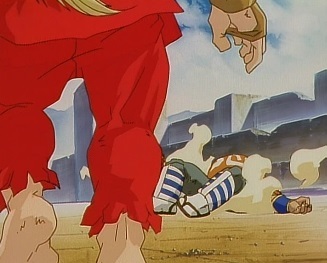 Ryu and Ken successfully batter each other to a standstill, and both of them crash to the ground. 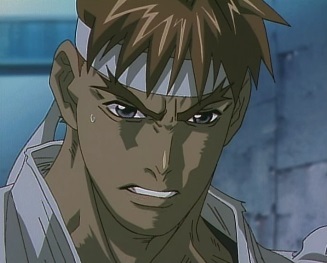 As Ken gets up, he asks Ryu if he can handle it -out of all the people who could, it would be him. 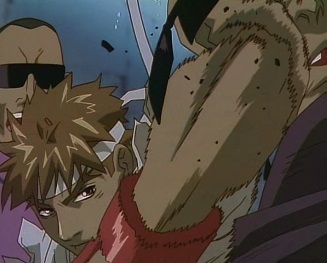 Ryu gets up and reminds Ken of his word -if he can't break free from the dark hadou, he wants Ken to kill him. 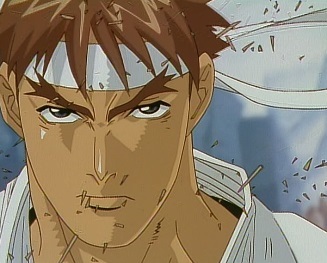 Ken says Ryu will overcome it. 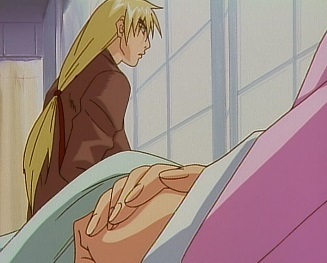 Ryu makes him promise, and Ken eventually nods. 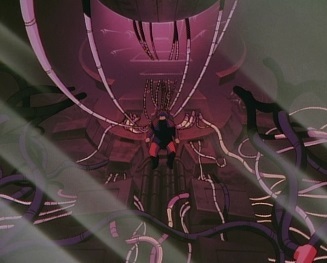 At Sadler's lab, Sadler sits in a chair, which has many pipes connected to it. 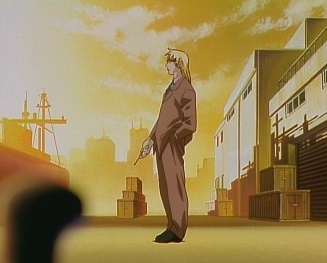 He says that very soon, the dark hadou will be his, and then the world will be at his feet! Sadler has invited some fighters to his lab, and then are heading to it on a plane. 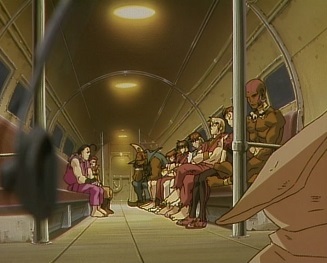 Inside the plane, the fighters include Ryu, Ken and Chun-Li. 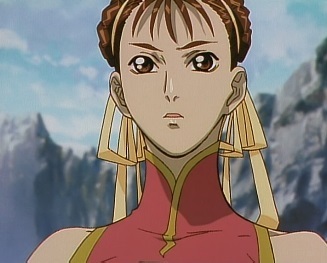 Ken asks why Chun-Li has come since this could be dangerous, but she says her father may be there. He vanished recently, and she thinks Sadler had something to do with it. 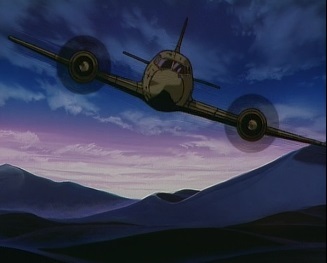 The plane comes in to land, but as it does, a truck appears. 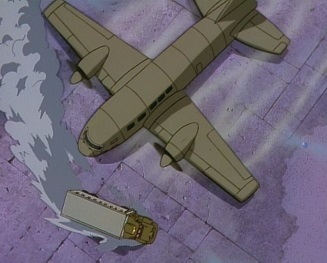 The driver of this truck decides to play chicken with the plane, and races right in front of it. 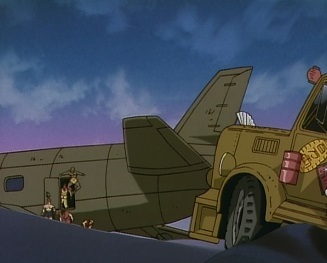 As the plane stops, the fighters inside it jump out. Ken wants to know what the deal with that truck was, and sees that the drive has gotten out. 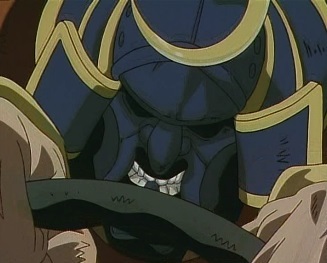 His name is Sodom, and he wants to try it again. 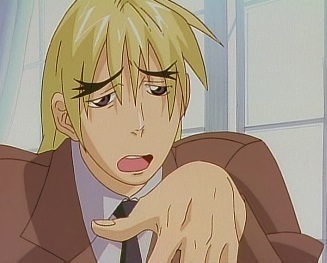 Ken thinks he's a loser. 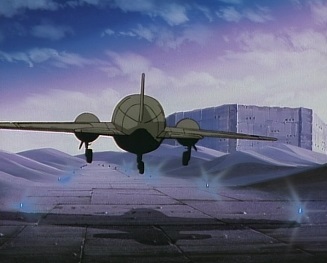 ...and arrive in an arena. Sadler's voice can be heard, as he welcomes them. 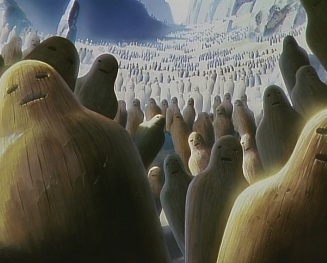 He says that today, they will show him all of their moves and powers. 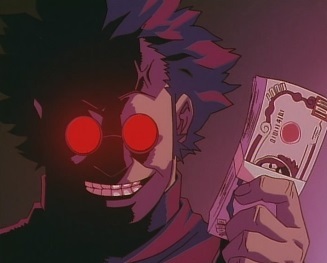 He then shows the prize money. Dan says that that money is his, and asks who wants to fight first. 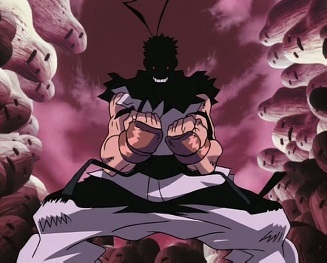 He notices one man, Birdie, and says he might put up a good fight. 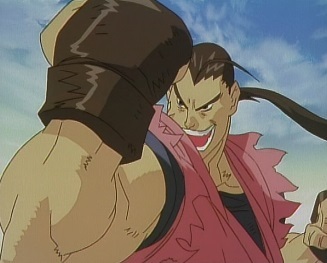 Birdie tells Dan to take his best shot, so Dan uses his most powerful move: the gadouken! 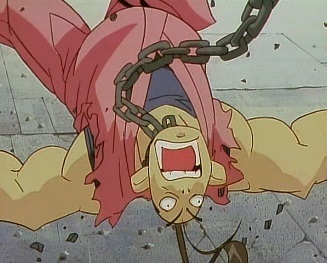 Birdie uses his chain to choke Dan for a few seconds, and then slams him into the ground. Some men then take Birdie back into the lab. 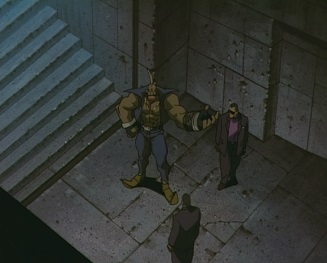 Ken finds this suspicious, and suggests to Ryu and Chun-Li that they try to sneak in and find out where Birdie went. Birdie has been led into a room, but then suddenly all the doors shut. 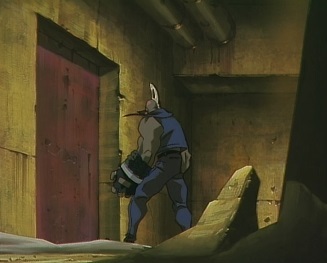 He wonders what is going on here, but then a lot of gas is released into the room, knocking him out. 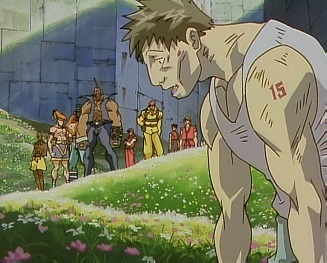 Back outside, the other fighters have also started to battle each other, as Sadler watches. 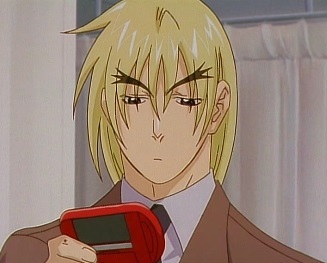 Muscular data, cellular data...he'll collect all of the data one by one. 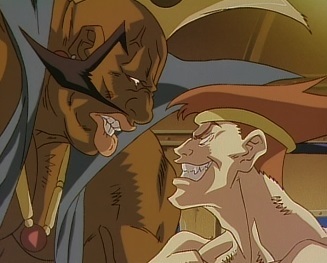 He looks at Ryu and thinks that when he takes the final data, he'll incorporate the data of the dark hadou. When that happens, the world will grovel to him. 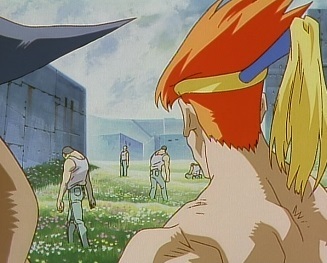 Back outside, Sodom fights with Ken. 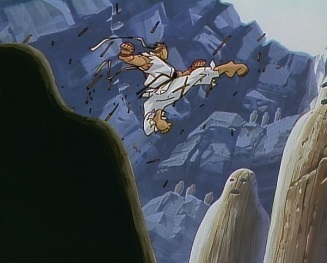 The two leap up into the air, but after a couple of moves, Sodom crashes whilst Ken lands on his feet. 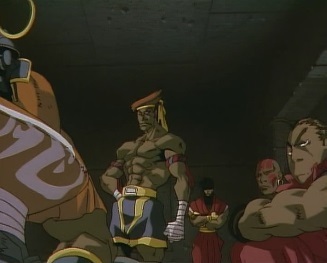 Ken, Ryu and Chun-Li enter the lab, and come across some guards. 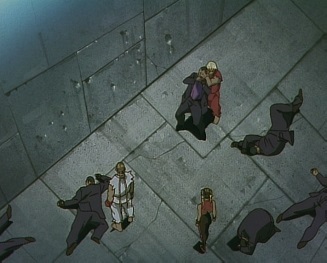 Ryu and Chun-Li quickly take down some of them, whilst Ken beats up one and then decides to get some information out of him. 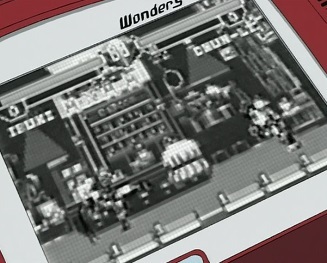 He wants to know what they are doing with the street fighters here, and the guard reveals that Sadler is taking their data, and is using them for research. 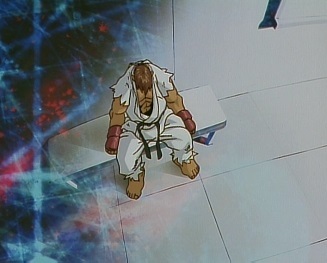 Ryu realises that the fighters they saw earlier are ones who have had their data sampled. 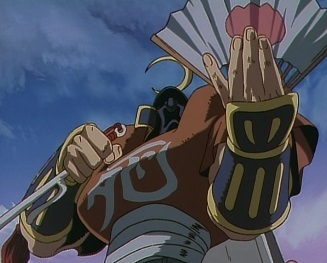 He then says he can sense Shun's ki. 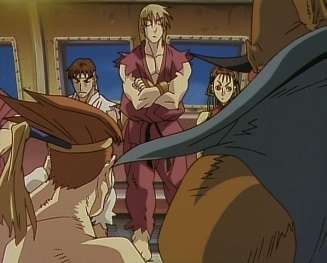 Ken tells him to find Shun, whilst he and Chun-Li find the other fighters. 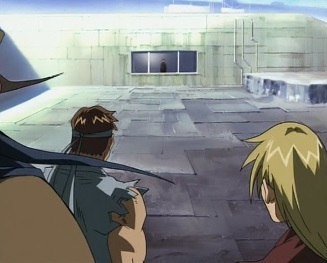 Ken and Chun-Li find the other fighters all locked in a room, but they open the door. 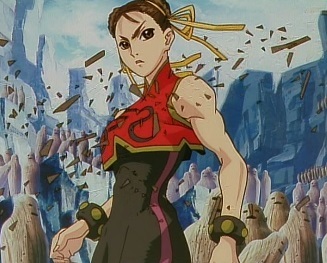 Chun-Li tells them all to get out of here now, or they will have their data sampled and then sucked dry. 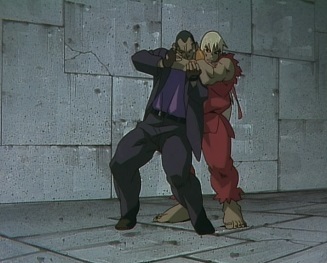 Ken asks where Birdie is, and Dan tells him that as Birdie was the first winner, he was taken away somewhere else. 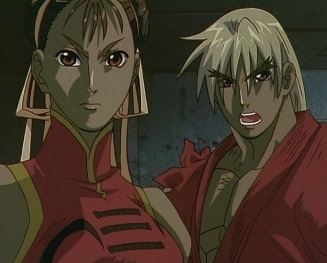 Ken tells Chun-Li that they need to get going. 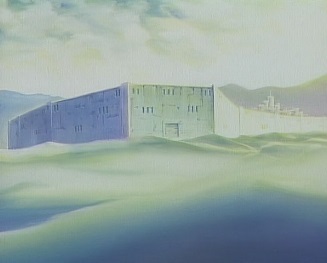 The two of them head through the lab, and come across a large room. 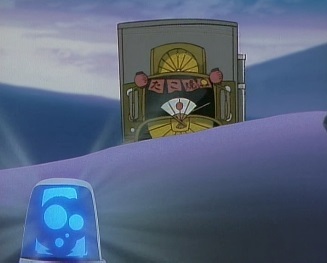 As they head inside it, they soon see Birdie, chained up to some kind of machine! They realise that Sadler is taking his data, and quickly move in to free Birdie from it. 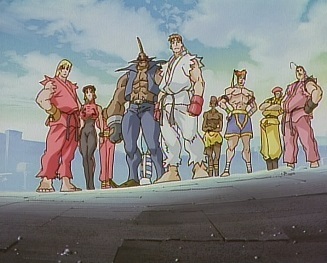 Elsewhere, Ryu heads out to where the other fighters he saw earlier were. 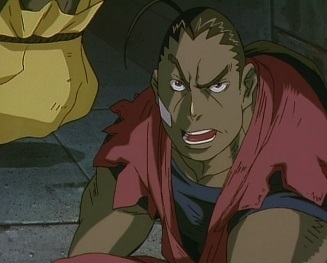 He soon finds Shun, but he doesn't seem to recognise Ryu, and then suddenly starts screaming, apologizing to Sadler over and over again. 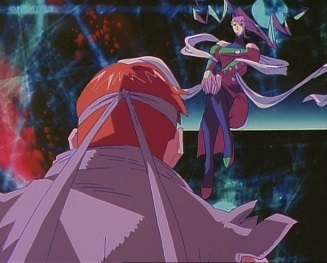 Elsewhere Sadler says he can sense it -he can sense the dark hadou growing within Ryu. 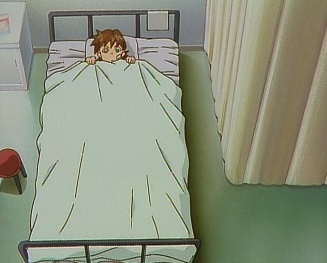 Ken and Chun-Li have freed Birdie, and even though Birdie is very weak, he can still walk. 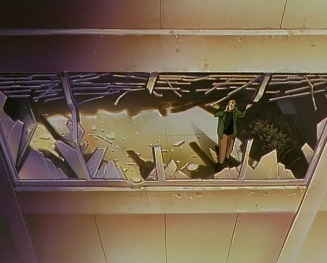 The three of them head out of the room, but as they go down a corridor, Ken can sense someone else. 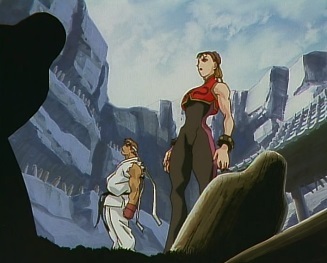 Chun-Li thinks she can sense Ryu's ki, but Ken says that whoever it is is not Ryu. 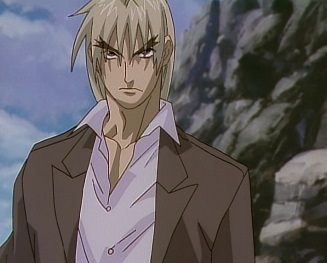 The man from the earlier tournament has returned, and charges through the trio. 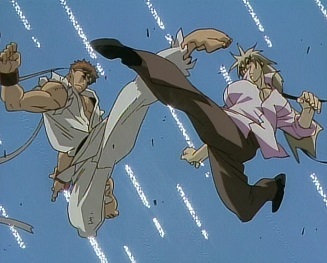 The man kicks Chun-Li and then takes down Birdie, but a couple of kicks to the face from Ken make him stumble. Ken tells Chun-Li to get Birdie out of here now, so she and him move out. Ken waits behind and circles the man. 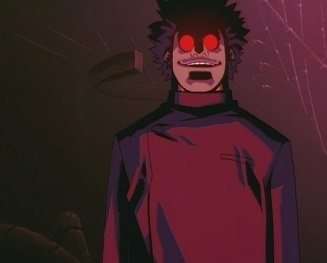 The man's cybernetic eye suddenly glows, and something happens to his ki. Ken realises that something is wrong here!